Every designer’s idea of sheer panic is a blank sheet of paper. Imagine if this was given to you in the form of a completely empty A380 shell, and you were asked to create purely original ideas to fill it to the brim. It’s this blank piece of ‘metaphorical’ paper that was given to the Etihad Design Consortium (EDC) six years ago when Etihad ordered their A380s from Airbus. The EDC incorporates three companies, consisting of Honour Branding, Acumen and Factorydesign. In our four part series, we look deeper into the design of this airline changing game player, and how it came to life. I’m ushered into a room in Honour Branding’s office, and Mike Crump, who is setting up his presentation that sadly I missed at the launch of Etihad’s flagship aircraft. “Forgive the mess, you are our first guest! We just moved this morning” says Melanie Bigoni, head of their communications. The office is brand new and bigger than the previous site. Around the corner in ‘creative’ Clerkenwell the new space is brimming full of life and light – designers and teams nestling into their respective corners. Just three weeks before, I was at their previous site talking to the team regarding the secret project, but they were tight-lipped and naturally very anxious about what was about to be revealed to the world. Today, Mike Crump who was given the role and title as SPOC by Etihad (Single Point of Contact) is beaming ear to ear, proud of what the EDC had achieved. “The CEO himself came into our room during the launch of the new aircraft to personally congratulate us” and based on the reaction from both the media and consumer alike, there was no doubt of the success of the project they had undertaken. As soon as the presentation on the computer fired up, it was evident which design journey I was going to be taken down. Large images of beautiful sweeping vistas of deserts, dense green forests (showcasing sustainability) along with intricate details of fret-work offset by modern architecture in the heart of Abu Dhabi. It was a smorgasbord and incubator of elements that felt familiar after a few weeks of being immersed in the new Etihad product. From the start, the three companies, Honour, Acumen and Factorydesign all pitched individually but ended up winning the contract as a consortium, which was lead at the start by Honour. “We had an inspirational journey. It started with an Immersion phase – getting to know Abu Dhabi – the city, Etihad’s home and Sheikh Mohammed bin Zayed Al Nahyan’s future vision for their city and Emirate in the future” Mike says as he works passionately through the images. 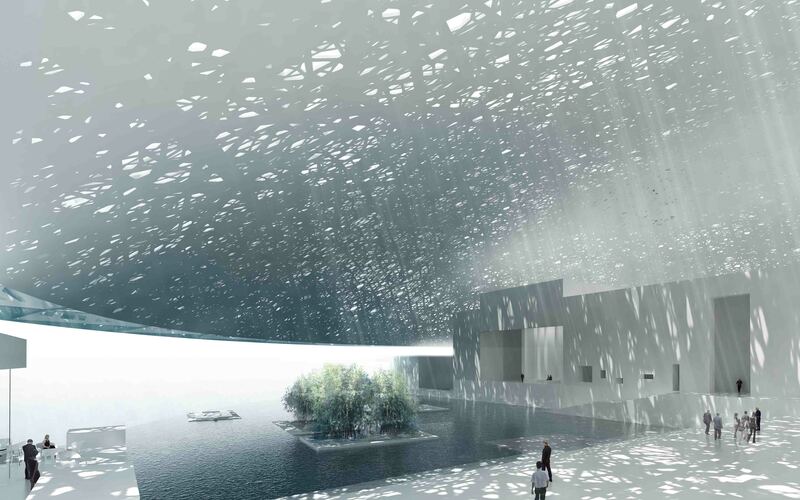 The artists impression of the interior of the Louvre Abu Dhabi when it opens, showcasing the dappled light roof structure. Whilst geographically Abu Dhabi and Dubai (home of Emirates) are no less than an hour away from each other, each city has clear differences in their vision. Abu Dhabi in comparison, is a quietly effortless city, proud of its elegant and revered architecture. The Louvre will be opening here soon, as will the Guggenheim, and both are just a microcosm of the depth of culture that is at the very heart of the city. It is this very essence that Etihad wanted to encapsulate with their brand. In 2009, the EDC team started work through a series of Big Talks, lead by Promise Communispace in London, New York, Sydney and Abu Dhabi, whereby they brought together designers, members of Etihad’s management and important frequent and not-so-frequent flyers into a series of two day workshops. The Big Talks were essential for the airline to bring together ideas, wish lists and important factors to be conceptualised and understood. 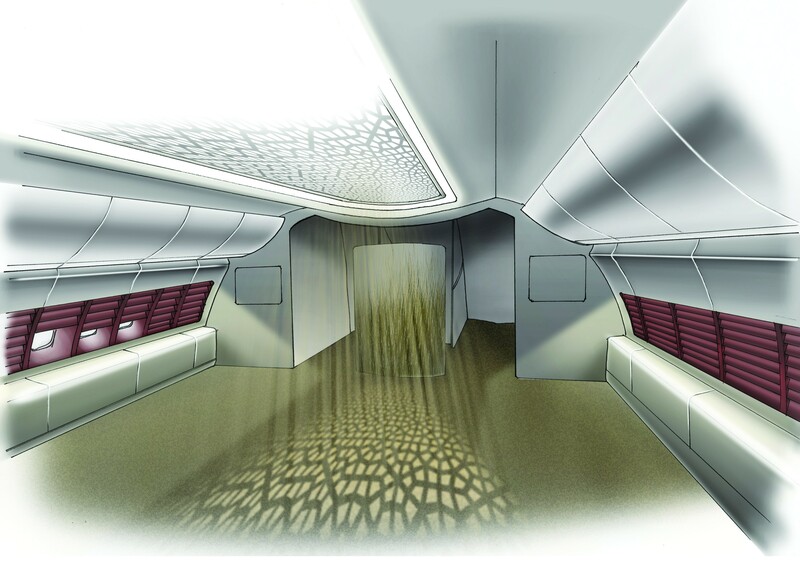 “It was from this we could understand what passengers really wanted, what they needed, and how these ideas and importances could be factored into Etihad’s vision, and also that of the vision of Abu Dhabi.” The EDC were given a big brief, to fill an A380 with original, purposeful and lasting original ideas – such as giving people a warm welcome onboard or simple elements like the do not disturb sign, or just creating intuitive zones on the flying behemoth that could completely change aviation and ensure Etihad was seen as the best in the world. These core factors helped in forging the new products that you have seen revealed here on thedesignair.net. However, it was clear from the very start of this project, Etihad weren’t looking inwards at the airline industry. 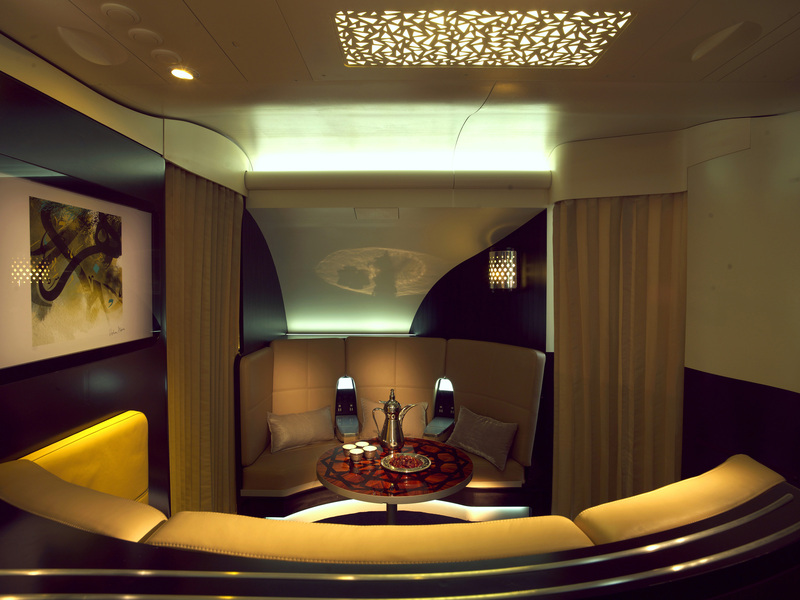 “Etihad want to be seen as the very best in the world and for some years the airline has benchmarked the very best hotels, not other airlines,” Mike continues as he describes the journey. It is this very reason that the names ‘The Residence, The Apartments, The Studios”’were created. 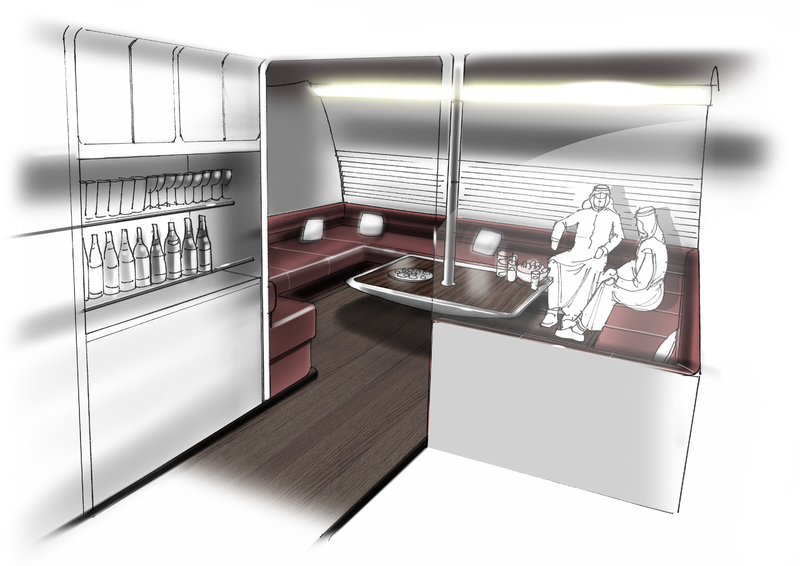 The EDC wanted to create social areas onboard, indicative to the Arabian culture. 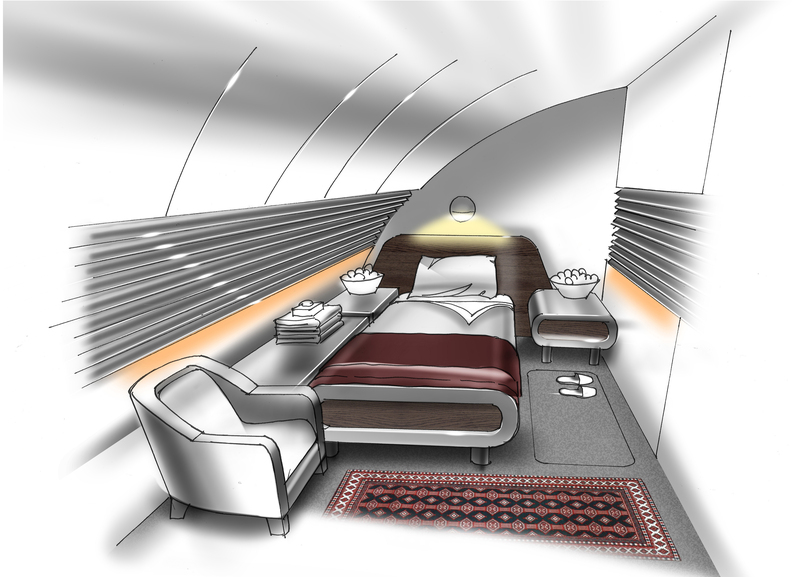 The EDC quickly coined the concept that Etihad wanted to emulate a ‘luxury boutique hotel with Arabian modernism’ it was this cornerstone of a concept that truly led to the intricate details that make the look and feel of this A380, truly unique, and less like a plane, and more like a hotel with the best view in the world. Mike talks about how Sheikh Zayed and Abu Dhabi is looking beyond today, and nods again to sustainability. “How is Abu Dhabi going to continue to prosper when they run out of Oil” Like all Arab states, this starts to become a concern, but it seems, that investing in such projects like the Guggenheim, The Louvre, and now even the flag carrier’s flagship aircraft, the UAE has started to invest in some of the world’s best works of art. The ‘Penthouse’ Bedroom was always designed to be as a separate area to the rest of the suite’s interior. In our next three weekly mini-stories, we will reveal the detailed design story of three areas. See our next story where we cover the Etihad A380 First and VIP Suites ‘The Residence & Apartments’, and how they came to life, and the challenges involved with such a customised design. 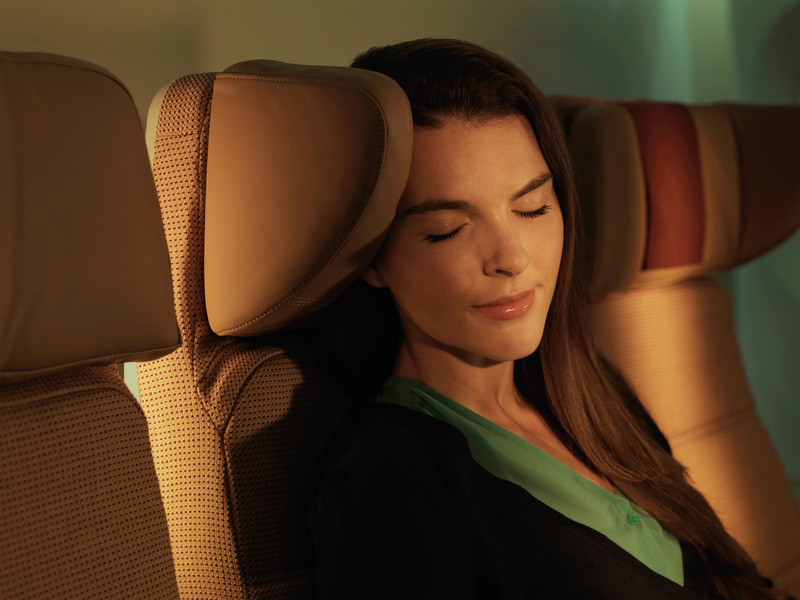 Coming soon The challenges with creating all-new business class ‘Studios’ that had to sit above the competition. 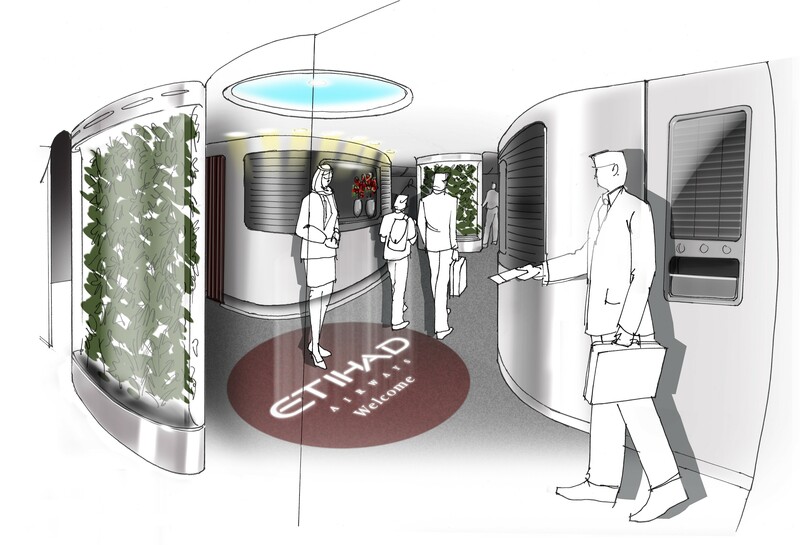 Finally we take a look at the EDC’s concept for a revolutionary Economy experience and how their designs came about and how they planned to exceed Etihad’s customers expectations. What a great story and I’m really looking forward to read the rest of it. Truly an excellent job mr. Clark! I’m really happy that Etihad always chose for a more luxurious and elegant design path, compared to its neighbour ‘Bling Bling Airlines’. I look forward to your indepth report on EY’s newest product, the media has had a frenzy with it, yet so far all have been merely “news”. Even from before the residence, apartment and studio, I had always admired EY’s modern Arabic accents on the doors and choice of different shades of beige in the premium cabins and felt they were often overlooked by their more talked about competitors. Great insight Jonny. Many thanks indeed for writing this brief for us – looking forward to the next part of the journey nearly as much as I’m looking to travel in EY’s new products. 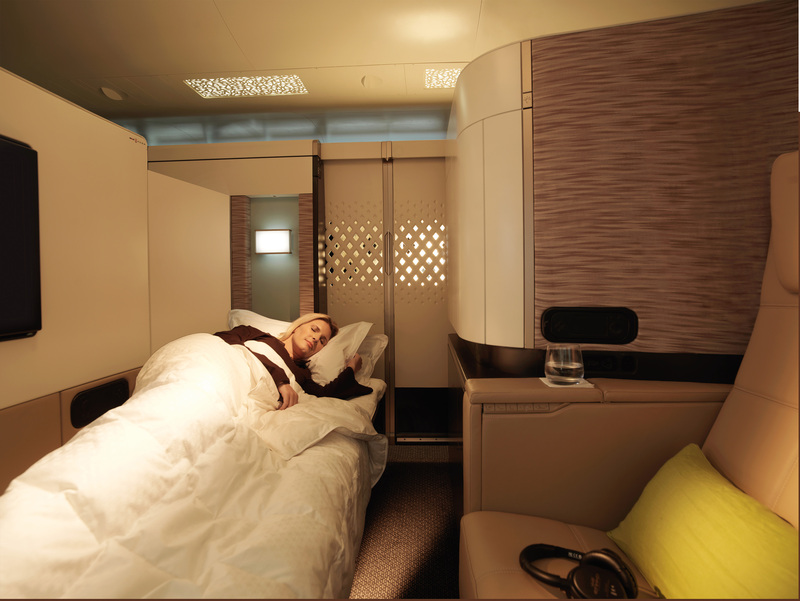 Uno splendido Focus ancora a proposito del nuovo A380 di Etihad Airways!